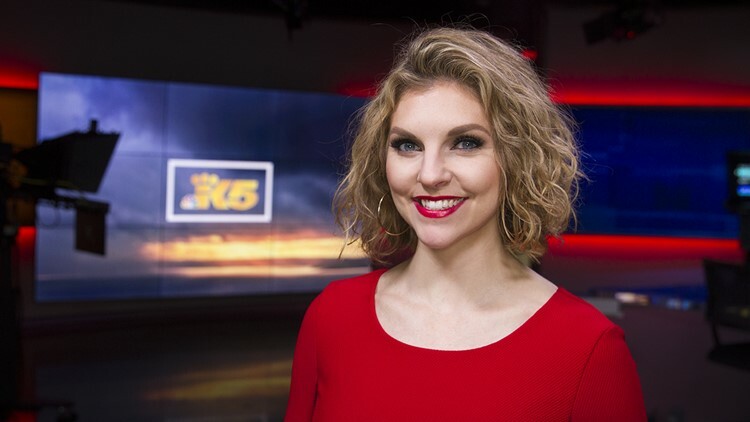 I joined the KING 5 weather team in November 2017. You can find me on KING 5 Wednesday through Sunday morning. I’m a Florida native, but I moved here from Charleston, South Carolina, where I was a weather and traffic anchor. I got my start at KEPR-TV in Tri-Cities, Washington, as a feature reporter and weekend weather anchor. I lived here from 2010 to 2015, and absolutely fell in love. I graduated from The University of Washington – Tacoma with a bachelor’s degree in communications, and I’m currently working toward my meteorology degree from Mississippi State University. My love for weather started at an early age. I was mostly fascinated with tornados and water spouts after witnessing a few as a child. In middle school, I became the weather anchor for my school’s morning announcements show, and continued that through high school. I’m a huge animal lover! My husband and I are parents to two rescue terriers, which inspired my segment “Fido’s Forecast,” a personalized dog walking forecast complete with your pooch’s picture. If you’d like to submit your dog, post your dog’s picture online using the hashtag #k5pets or just share on my Facebook wall. You can email me at jwilkerson@king5.com, or find me on Twitter @JordanWtv.